Giving young children the opportunity to become successful readers. 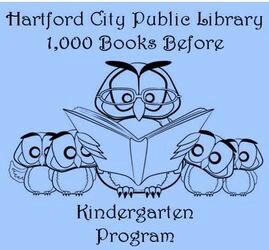 1,000 Books Before Kindergarten is a FREE library program that encourages all parents and families to read 1,000 books with their young children before they enter kindergarten. Studies have shown that families who start reading aloud to their children at birth help to strengthen their language skills and build their vocabulary – two important tools for beginning to learn to read when they enter kindergarten. It shouldn’t if you give it some thought! If you read one book at bedtime every night for three years, you will have read 1,095 books! If you read three books a day, you will have read 1, 095 books in one year. If you begin when your child is born and read four books per week, you will have read 1,040 books by the time your child reaches kindergarten. 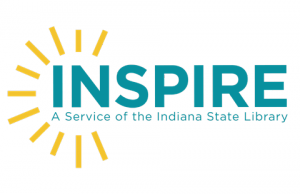 Requirements – You must be a resident of Blackford County and have an established Evergreen Indiana Library card. Register – Complete an enrollment form and return it to the Hartford City Public Library. You may then take home your starter kit. Show us Your Reading Logs – When you reach 100 books, bring in your reading log sheets, and receive a prize! Each 100 books increment will be rewarded with a prize. Read More Books! When you get all the way to 1,000, your child will receive a canvas book-bag along with a new book of his or her choice. We will also place a picture of your child on our “Wall of Fame” to show which children have completed the program.